Camp is a great opportunity for all young people to have the experience of living under canvas and taking part in outdoor activities and this one has the added bonus of being in an island setting. The camp is for company section-aged young people who do not have the staff or equipment to lead such a weekend. The camp site for the weekend will be within the Garrison Grounds which is in the centre of Millport. 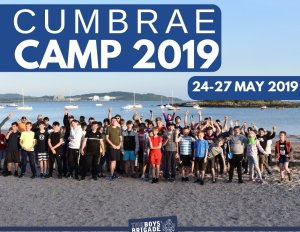 After your crossing on the ferry from Largs you will make your way into Millport, where your weekend accommodation will be set up for your arrival and young leaders will be ready to take charge and activities will begin! Can you advise if you still have availability on this weekend. Thanks for your message. Yes we still have sufficient spaces available.